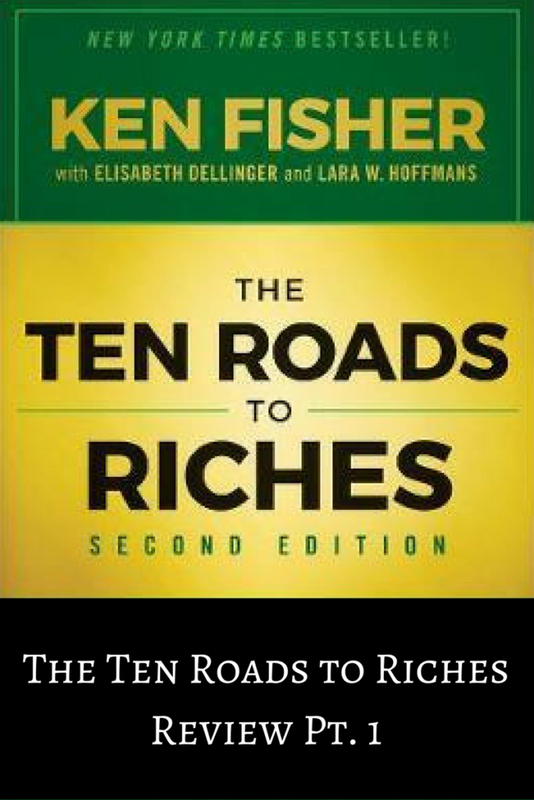 The Ten Roads to Riches is a book written by Kenneth Fisher. In this book, Fisher discusses how much your net worth is and how much it can be. Today, I want to go over the ways that he discusses. The first way that Fisher has for you is to start a successful business. He also states that you will get wealthy the most by starting a business. I believe it. A successful business can generate tons of money for you. It could lead you into other ventures. Also, you can make money from it if you decide to sell it. If that’s the case, you can use the money that you make from the sale to start another business. The second way to wealth is to become a CEO of a current company and continue to grow it. If you’re doing well as the CEO, other businesses will take note. There is a chance that other firms will throw money at you and try to get you to bring your successful habits to their business. If that happens, you’re in the driver’s seat. You can leave and make more money, or you can let your current firm know. One of two things will happen. They will let you leave, or they will make a counter offer. In either situation, it’s a win. There are a lot of bright leaders out there. I have no problem learning from the best. This is basically what some people do. History shows us that people become rich or wealthy when they pay attention and listen to these visionaries. From Steve Jobs to Mark Zuckerberg, these leaders have helped numerous people make a whole lot of money. Everyone isn’t a visionary, but if someone has an idea or business that seems like a can’t miss opportunity, support them, invest a little money and follow their moves. Your life could change ten-fold. The fourth tip is unique when you think about it. Turning your celebrity into wealth or vice versa is a very smart concept. Celebrities are already out in front of the public for the most part. They have fans that will support them. If a celebrity is popular, they can get sponsorship money and lots of it. Look at an athlete like LeBron James. He has endorsement deals with Nike, Samsung, and Coca-Cola to name a few. You can’t beat that. If you’re not a celebrity but have a following, you can still make money with some local sponsorships. I laughed when I first read this one, but people do it all the time. If your significant other has money, you may not have to work ever again. Money could also be passed down to you through inheritance. Those were just the first five tips of The Ten Roads to Riches. Check back Monday for the last five.